English is a subject that I’m more comfortable teaching the kids. Being an English teacher , teaching this subject comes rather naturally to me as I’ve been doing so for more then 10 years. Staying in a predominantly English environment the kids have ample chance to practice speaking English with our friends and family. This makes it very easy for them to practice their spoken English on a daily basis. The problem that Monkey boy faces at the moment is him slipping into Singlish or broken English at times when they talk. This is certainly a no-no in my book as it hampers both their spoken and written ability in this language. Weightage for the different components of the English examination format has remained relatively similar for Primary 5 as compared to Primary 4. The main difference is the allocation of marks for the various sections. In Primary 4 the total marks is 100 marks while in Primary 5 this has been doubled to a 200 marks total. New item for Oral– Stimulus Based Conversation. This component has been newly introduced this year to the P4 and P5 students . – Ability to speak fluently and with grammatical accuracy, using a range of appropriate vocabulary and structure. – The ability to express their personal opinions, ideas and experiences clearly and effectively in conversing with the examiner. – Ability to maintain good eye contact with the examiner. This can be quite challenging for a child if he is not able think on his feet and draw out suitable words to use based on scenarios that he has been exposed to prior. Focus tip : Expose your child to a variety of scenario. This could be through personal experiences or role play . This would build up his ability in story telling. 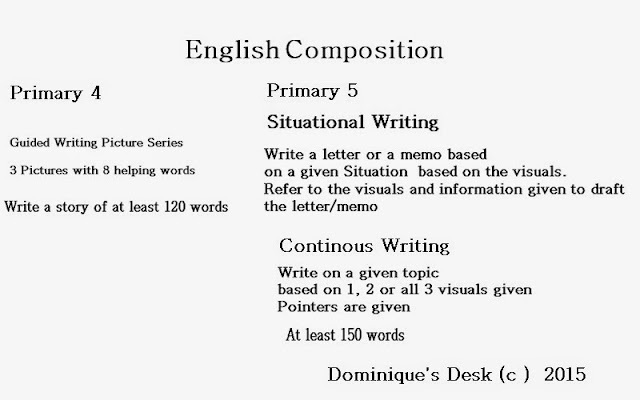 Since 2015 there has been a change in the way a student has to write his composition. They are no longer focusing on the old 3 pictures and a question mark type of composition questions and one to a system where it is more open ended. 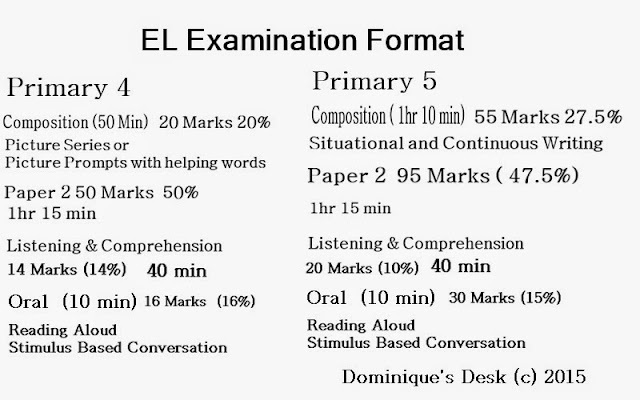 I’ve covered the changes to PSLE composition format in my series on – English Composition and therefore will not be repeating it here. If you are just looking at how continuous writing looks like now you can read this post here. The main focus here would be for Monkey boy to improve on his command of English and expand his vocabulary word bank. He would also need to write a longer essay as the minimum word count has increased from 120 words to 150 words. One of the main difference in Paper 2 is the introduction of Visual Text Comprehension and a more comprehensive Open Ended Comprehension section. What is Visual Text comprehension? It is an assessment which tests a students ability in grasping the main ideas, key details, punctuation, textual elements and how the relate visuals to text. – skimming the passage for gist/ main ideas. – Making simple generalisation based on the information given. 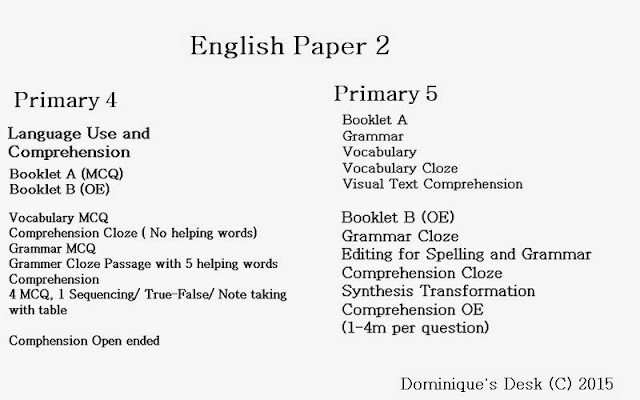 Even though the other components of Paper 2 are not new to Monkey boy he will need to pay special attention to answering questions in the Comprehension OE section. Based on my teaching experience this is the section which most students struggle as they are unable to score due to their inability in giving complete answers to the questions posed. 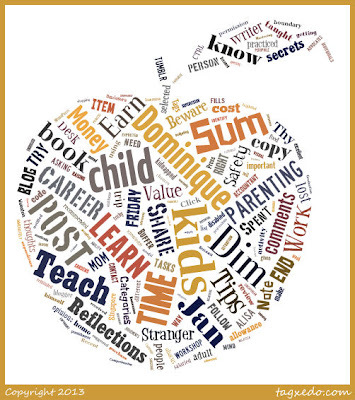 What is assessed in Comprehension OE? In the section the student has to be able to do the following. – Distinguish between cause and effect. – Categorise and classify given details. – Draw conclusions based on evidence given. – Identify problems- solution in a text. More higher order thinking questions are given and been able to analyse and rationalise are key factors to ace this section. In the follow up post I will be sharing the methods and resources that I use to help Monkey boy improve in his English. 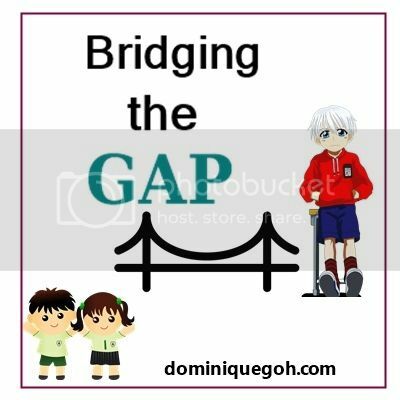 4)Bridging the Gap- Identifying the Gap between P4 and P5 English. Great notes from you. Teaching the language has evolved over time. Monkey boy is lucky to have you to guide him.